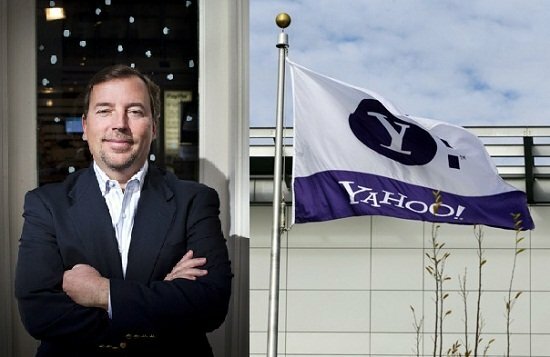 Yahoo CEO Scott Thompson is to step down after accusations that a fake computer science degree was included on his CV, reports say. According to the blog AllthingsD, Scott Thompson will quit his post in the wake of the controversy. Scott Thompson is likely to be replaced by Yahoo’s global media head Ross Levinson. The blog says Yahoo is also close to settling with activist shareholder Daniel Loeb, who discovered Scott Thompson’s mistake. AllthingsD, the Wall Street Journal’s technology blog, reported that Yahoo will say Scott Thompson is stepping down for personal reasons. Yahoo has already acknowledged that its CEO, who took up his post in January, does not have a computer science degree. Yahoo is also expected to appoint new directors and a new chairman in the wake of Scott Thompson’s resignation. Just last month, the company, which is based in Sunnyvale, California, announced plans to make 2,000 employees redundant. Scott Thompson was previously the president of online payments firm Paypal.